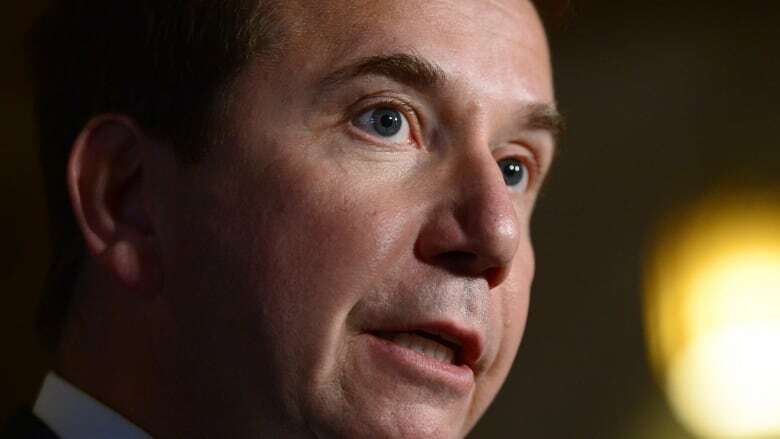 Scott Brison is co-chair of the steering committee for the Open Government Partnership, a coalition of more than 80 governments pledged to the cause of political openness and transparency. He also recently won a "code of silence" award from the Canadian Association of Journalists. Sometimes you need to get away to find people who will appreciate you. For instance, Scott Brison, president of the federal Treasury Board, recently flew to Argentina, where he addressed a summit of the Open Government Partnership, a coalition of more than 80 governments pledged to the cause of political openness and transparency. Brison is currently serving as co-chair of the organization's steering committee. A month earlier, the Canadian Association of Journalists had awarded Brison and his department its "code of silence" award for "outstanding achievement in government secrecy." The dubious award was in recognition of the organization's disappointment over Bill C-58, Brison's attempt at improving the access-to-information system. Squaring that domestic frustration with Canada's international leadership is perhaps difficult. But perhaps that is Brison's task for the next two years. The federal access-to-information system, a favourite tool of journalists and all others who hope to pry undisclosed information from the government, has been lamented for years, becoming infamous for the long delays and blacked-out pages it regularly produces. Bill C-58 is not a comprehensive response to all that. But Brison is fairly adamant that the bill, widely panned by critics, is a useful step in the right direction. "Don't let perfection be the enemy of the good," he said in an interview this week. "For 34 years, no government tackled this." Pressed about the need for a full overhaul and whether the government's changes are significant enough, Brison said while C-58 might not do everything stakeholders want right now it would be "asinine" to suggest C-58 does not represent progress. The bill has been specifically criticized for not amounting to what the Liberals promised in 2015. It codifies a system of proactive disclosure for ministers' offices, but those changes don't quite line up with the campaign commitment to extend the access system to cover those offices. The bill gives the information commissioner some ability to order the release of information, but the commissioner has called it "an ability without teeth." "It is a lost opportunity to really make an ambitious and truly transformative change," said Mary Francoli, a Carleton professor who studies open government. "This is progress," Brison counters. "And there will be opportunities to go further in the future." A chance for further reform, but when? Indeed, Brison's bill, currently awaiting a final vote in the House, also mandates a ministerial review of the Access to Information Act is to be launched within a year after it becomes law (and every five years after that). But Brison is not committing to complete that review before the next federal election in 2019. And, in the meantime, independent reviews of the access system are already gathering dust — the information commissioner made 85 recommendations for reform in March 2015, while the access to information and ethics committee made 32 recommendations in June 2016. The government is not without other things it can say for itself. Brison said the Liberals have conducted more than 320 consultations on government policy. And this is the first federal government to publicly release the mandate letters issued to every cabinet minister. It has taken steps to report on diversity in federal appointments and named a chief science adviser with a mandate to ensure public disclosure of government science. Brison said the government will be putting new resources toward processing access requests and he hopes the proactive disclosure elements of C-58 will ease pressure on what is said to be an overburdened system. Canada is, Francoli notes, better off than many other countries. But it's hard to imagine the Trudeau government's record on openness and transparency ever being fondly regarded without significant progress on access to information, with new limits on what can be withheld and new power for the public and press to demand disclosure. None of which will necessarily be easy. Increased disclosure means a greater risk of political embarrassment. The ability of public servants to offer candid advice and analysis to ministers is likely worth protecting to some degree. "An ideal system of open government is one that truly sees the information and data held by government as a national resource, and treats it as such," said Francoli, who also attended the OGP summit in Argentina. "Ideally, we'd know how and why decisions were made as we'd have information from the centre of power ... And, ideally, citizens would be offered an opportunity to co-create policies and programs that impact them." These goals, Francoli acknowledges, are enormously difficult to achieve, requiring not just new policies, but "a change within the culture of government." But Trudeau has seemed to believe that true openness was as important as it might be difficult. "I think we're going to have to embark on a completely different style of government," he said in April 2015. "A government that both accepts its responsibilities to be open and transparent, but also a population that doesn't mind lifting the veil to see how sausages are made." Canada's role at the OGP presents an interesting opportunity in this regard. While governments in Hungary and Turkey are becoming more closed, the open-government community is looking to leaders like Trudeau, France's Emmanuel Macron and Argentina's Mauricio Macri for leadership, said Joe Powell, deputy CEO of the OGP. But with leadership comes scrutiny. "I'm sure that there are things that will come up in the next two years [for] minister Brison and the Canadian government [where], naturally, there will be an elevated expectation on what they're doing domestically," Powell said. "And I think that's part of the deal." Said Francoli, "It is an ideal time for the government to make more ambitious change and to share its best practices internationally."